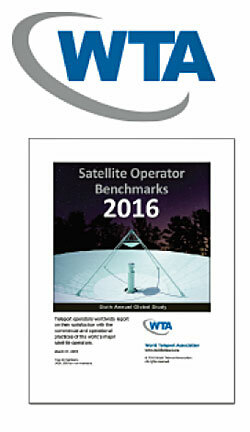 [Satnews] The World Teleport Association (WTA) has released Satellite Operator Benchmarks 2016, a new research report. With the Satellite Operator Benchmarks series, WTA examines the crucial relationship between teleport operators and satellite operators. WTA seeks to keep that relationship healthy and strong by informing teleport operators about how their peers view the principal satellite operators while at the same time providing objective feedback to those operators from an important customer group. By objectively tracking, rating and comparing the operational and commercial performance of satellite operators, as experienced by teleport operators, WTA seeks to strengthen the industry by driving self-improvement across all companies. For the full list and explanations of key findings and to see excerpts from the report, visit the report page on the WTA website.